PUBLIC HEALTH NOTICE: Higher radiation doses do increase the risk of adverse health effects and for that reason it is prudent that individuals should to seek to minimise their exposure to radiation. The radiation hotspots identified by this study had very significant levels of radioactivity but are not considered exceptionally dangerous to people passing by. The UK’s official average radiation dose is 0.3 µSv per hour, elevated by potentially-hazardous quantities of naturally-occurring uranium, thorium and radium in granite in certain areas, compared with the background level at Rendlesham Forest of 0.09 µSv h-1 and our highest readings of 0.4 µSv h-1. On 26-28 December 1980 a famous UFO incident unfolded, commonly known as the “Rendlesham Forest incident.” This is the most important UFO case in history, because it is the most credible and well-evidenced case, comprising a series of separate sightings witnessed by multiple military personnel at a very important NATO complex. During the Rendlesham Forest incident, elevated radiation readings were measured in locations where UFO activity was reported, with hotspots of multiple times the background level reported at proposed landing sites during the final week of December 1980. These readings along with other details of the incident have been the subject of much ongoing controversy and debate throughout the 37 years since the incident. This paper presents a thorough radiation survey of the area, aiming to provide definitive scientific answers about current radiation levels there, and to examine how these measurements might assist our understanding of the UFO story and its historical context. Air radiation dose rate levels measured in the Rendlesham Forest area had statistically signiﬁcant relationships with sites of UFO activity (t-test: p < 0.0001) including two separate reported UFO landing sites. These results strongly indicate a causal relationship between UFO activity and radiation levels in the area. Air radiation dose rate (irradiation by α-rays, β-rays, γ-rays and x-rays) was determined at various measurement locations, geolocated by GPS, using an environmental radiation monitor. At each measurement location the mean dose rate was determined by monitoring at 1 m above ground level for a period of 10 min then at 1 cm above ground level for a further 10 minutes. Before monitoring each measurement location, the surrounding area was scanned to seek a spot within a 50 m radius that consistently gave the highest readings and, if such a spot was found, that then became the measurement location. Monitoring at each measurement location was repeated on three different days. All radiation measurements in this study were recorded in January and February of 2018 with air temperatures varying between -2 °C and 8 °C and occasional light drizzle rain. The average background radiation level of the entire Rendlesham Forest area, defined as the mean of the mean dose rates at 100 randomly-selected control measurement locations (Map 1) in and around the forest, was determined as 0.09 µSv h-1 (26.2 CPM) with a count range from 7 CPM minimum to 37 CPM maximum. Map 1. 100 randomised control measurement locations in and around Rendlesham Forest monitored to establish the background radiation level of the area. A red dot indicates each random GPS location. All geolocatable sites where localised UFO activity in 1980 has been reported (Table 1 and Map 1) were identified as additional measurement locations, and each of these sites was monitored to determine the average air dose rate there. Verifiable UFO landing sites were identified (Table 1) as accurately as possible by an exhaustive review of the available literature. Witnesses have worked with previous investigators to geolocate a single GPS coordinate for each site, and these are the locations we used for this study. Multimedia and maps were also consulted to confirm these locations. We reviewed the most popular books and TV documentaries on the subject[1-11], as well as websites too numerous to list, including research by prominent UFO sceptics and debunkers. Every map, photograph and eye-witness account that could be found in the public domain was utilised. All reported landing sites were considered by this study. The background level for localised areas within which UFO activity was reported was determined by measuring at 10 additional random measurement locations within a radius of 50 m to 200 m centred on the UFO activity site measurement location. Other possible sites of UFO landings or other UFO activity were identified (Table 2) but excluded from this study on the basis that they were considered either spurious or too imprecise. These locations were measured for reference only. Data was captured by a calibrated GMC-600 digital Geiger counter radiation monitor manufactured by GQ Electronics, Seattle, USA. The radiation detection component was a Russian SBT-11 (СБТ-11) Geiger-Müller pancake type tube. GPS positions were determined using a Samsung Galaxy S6 smartphone. Where air dose rate at a measurement location was significantly above background, the measurement was repeated first inside a paper box then inside an aluminium box, in an attempt to discriminate between types of radiation. A careful scan of the area was then performed by placing the detector in a lead box open at one end for directional detection, then moving it through the air at varying heights, then moving the device over nearby surfaces (the ground, tree trunks, banks, etc.) at a distance of approx. 3 cm from these surfaces, in an effort to locate any highly localised sources. The data from these experiments was used to delineate precise GPS locations where the readings were highest, however these qualitative data were excluded from the mean dose rate measurements and do not contribute to any measurements presented in this report. A new experiment designed to obtain more granular data from a cluster of numerous locations under more controlled conditions is highly recommended, especially around locations of special interest, e.g. by measuring at locations determined by a 100 m grid of 1m quadrats. Measuring at two different elevations above ground (1 cm and 1 m) was considered useful for a number of reasons, especially the potential to differentiate between irradiation in the air at a height of 1 m, which may detect γ-rays, and x-rays from nearby sources, compared with direct detection of radiation on the ground, which offers improved ability to also detect α-particles and β-particles emitted from surface layers. Where elevated radiation was found at one of the random locations, a local scan was employed in an attempt to geolocate the hotspot. An examination of differences in measurements recorded at different heights is beyond the scope of this study but the data has been retained for future reference. Moving the location by up to 50 m to seek the highest reading is a technique designed to find a hotspot in the immediate vicinity that might be associated with UFO activity where there may be an inaccuracy of up to 50m in the reported location, but it is essential to maintain consistent methodology at all locations including random control locations. The mean background level of radiation at Rendlesham Forest was established at 0.09 µSv (26 CPM), providing a baseline measurement for this study. This is much lower than the national average background level, mainly due of the lack of naturally-occurring radionuclides in the regional geology. The count measured at randomised control locations ranged from 7 CPM minimum to 37 CPM maximum, following a standard Gaussian distribution curve with a very low frequency of measurements occurring at the extreme ends of the observed range. The data reveal radiation hotspots with elevated radiation levels at multiples of the background level coinciding with the locations (Map 1) where UFO activity in 1980 has been reported (Table 1). Table 1(a). Geolocation and radiation levels of target measurement locations where UAP activity in 1980 was reported. *1 Accuracy of within approx. a 10 m radius. Table 1(b). Characterisation of target measurement locations. 1 Site where a UAP subdivided over the east end of the runway at RAF Woodbridge in February 1980 according to Lori Rehfeldt (USAF Security Police). Located at the far eastern terminus of the airfield’s runway, the surface on site is composed of rough tarmac, flanked on the west side by the smoother tarmac of the main flight line and surrounded on the other three sides by mixed grasses. 2 Site where Penniston and Burroughs reported witnessing a UAP that they subsequently followed into the forest from aprox. 0300 hrs on 26 Dec.
Video log excerpt Coniferous woodland. The edge (~20 m from the road) of a plantation of Corsican pine trees organised in straight rows, in blocks with rows oriented E-W and blocks with rows oriented N-W. Trees within each row evenly spaced ~3 m apart. Site located within a distinct wayleave/track between rows, distinctive in satellite images from 1980 to date. The forest floor comprises a thin litter layer of pine needles with sparse vegetation including ferns (bracken), brambles (blackberry) and brome grass, beneath which is a rich black topsoil of woodland compost. 3 Site where Penniston and Burroughs, and independently also Warren, reported as the location where a UAP landed in the field at Capel Green in the early hours of 26 Dec. Agricultural field. Site located approx. 200 m west of the western tip of a treeline “finger” protruding into the field, at the southern end of a field subject to arable rotation continuously since 1980. The soil type is classified as Soilscape 10: “Freely draining slightly acid sandy soils” with low carbon and low agricultural fertility. The treeline surrounds a drainage ditch. There are few stones in the soil here, and the only stones found were small smooth pieces of flint and other rocks probably originating from the glacial gravel layer beneath, consistent with the local geology. 5 Site where a UAP reportedly directed “white beams” down into bunkers housing atomic weapons in the northwest corner of the Weapons Storage Area situated in the southwest corner of a USAF base, RAF Bentwaters. Weapons Storage Area (WSA). Prefabricated low-profile concrete bunkers covered with grass (rooted in a plastic geotextile mesh) for aerial camoflague, with heavy reinforced steel security doors, ventilated by a covered rooftop chimney. Some bunkers contain secure a storage room with a thick steel safe door secured by a pair of dual key locks, each lock releasing a combination dial. This GPS location is the closest we could safely get to the bunkers in the northeast corner of the WSA where tactical nuclear warheads were stored in December 1980 when a UAP directed beams into these bunkers. Our preferred measurement location would have been in the centre of this (52°07’11.2″N 1°25’29.9″E) or outside the door of one of the silos. The WSA was called “Hot Row” by the USAF and colloquially referred to today as “the bomb dump” by the MoD. Table 2. Other sites where UFO activity in December 1980 has been reported but excluded from this study because there was either (1) insufficient evidence to accurately locate the site or (2) witnesses disputing the location or authenticity of the site. The “official” landing site marked by a “sculpture” in a clearing on the east side of Rendlesham Forest. Halt disputes the authenticity of this site and suspects that it is one of two fake landing sites set up by a personnel from the twin base complex. Two landing sites near the northwest corner of the field at Capel Green apparently reported by Bustinza. Insufficient evidence to facilitate geolocation. We would invite Bustinza to work with a team having expertise in forensic reconstruction in order to obtain the most accurate possible geolocation(s). In the meantime, a high-resolution radiation survey of this region of the forest is recommended to locate any hotspot(s) that might be related to the two alleged landing sites. Alternative locations for the landing site witnessed by Penniston and Burroughs. These witnesses confirmed the correct location in 2010. No previous versions of the location will be considered in this study, but a future study measuring these locations is recommended for completeness. Area where UFO moved through the forest on 26 Dec, Insufficient evidence to facilitate geolocation. Map 1. Target measurement locations 1-4 (Table 1) where UAP activity near RAF Woodbridge in 1980 was reported. Map 2. Target measurement location 5 (Table 1) where UFO activity near RAF Bentwaters in 1980 was reported. While taking photos around the airfield of RAF Woodbridge, with the radiation monitor turned on, elevated radiation levels of up to 96 CPM were measured at the far west end of the runway at RAF Woodbridge, which might be considered the weapon loading area, compared to a background of 33 CPM for all measurement locations on the surrounding area and a background of 26 CPM for the area beyond the airfield perimeter. Further research would be needed to obtain measurements in this location that comply with the standards and controlled conditions required for this study. This was notable as the only location in the entire Rendlesham Forest area where elevated mean air radiation dose rate exceeding twice the background level was not associated with a location where UFO activity in 1980 was reported, despite extensive informal measurements recorded throughout the area mostly outside the methodology of this study (e.g. while the operator of the device was walking around to take photographs or make measurements during the investigation, because the monitor was deliberately turned on all times in case useful data could be captured in this way). A relationship was found (t-test: p < 0.0001) between radiation levels in Rendlesham Forest and sites where UAP activity occurred in 1980. This finding may suggest that that either (1) the UAP activity somehow resulted in elevated radiation levels at the hotspots identified, or conversely (2) pre-existing radioactive contamination at these locations somehow resulted in the UAP activity at these locations. At this time there are insufficient data to discriminate conclusively between these two alternate hypotheses. However, there is currently no information available that can explain the highly localised radiation hotspots found in this rural area, unless they were caused by the UAP activity reported at these sites. Thus, it is reasonable to postulate that the radiation hotspots did indeed result from the UAP activity of 1980, and this will remain a valid working hypothesis unless an alternative explanation is proven. Further research is recommended to investigate the source, shape and size of the radiation hotspots found at these locations and the apparent correlation with UAP activity. The primary aim of this study was to test the hypothesis that a connection can be demonstrated between the locations of UFO activity and radiation readings in those locations. The hypothesis was proven. There is indeed a correlation that can be detected experimentally, both qualitatively and quantitatively. Over the intervening 37 years since the 1980 UFO incident there has been much debate about exactly what happened on those three or four nights in late December, accompanied by debate over exactly where things happened. In particular, there is ongoing debate about the precise location of UFO landing sites and other UFO activity in the area during the incident. The controversy includes unresolved disputes about radiation measurements and other details of the case. During the UFO incident, elevated radiation readings were measured in places where UFO activity was reported, with hotspots of multiple times the background level reported in close proximity to proposed landing sites. Contemporaneous measurements were taken by, among other investigators, Staff Sgt. Monroe Nevels, the Disaster Preparedness Officer for the twin base complex. An expert in radition detection, one would expect that Nevels understood how to take and report measurements from the Geiger counter he was issued with and trained to use. Radiation measurements of up to ten times the background level were recorded in the field at Capel Green in 1980 immediately after of the reported UFO activity there. There were two different UFO landing sites reportedly located in this field (Map 2, sites 3 and 4). Background radiation levels can vary between locations, for example there are known radiation hotspots in the southwest of Britain due to the prevalence in the local geology of granite, an igneous rock that naturally contains radioisotopes of uranium, thorium, and radium, as well as emitting radon gas. This study accounted for possible background variations by recording a very large number of measurements in a wide variety of different locations, and the data collected prove that variations in background radiation levels throughout the area are minimal. It has not escaped the authors’ attention that accurately geolocated radiation measurements in the area may offer answers to long-debated questions about the UFO incident. For instance, an accurate map showing the locations of radiation hotspots, accompanied by GPS coordinates, might pinpoint the location of landing sites more precisely than ever before. Our radiation survey map has the potential to add weight to a witness testimony or theory — or conversely undermine a particular version of events, especially it involved radiation readings. Geolocated radiation data certainly has some potential to contribute to our understanding of what happened in Rendlesham Forest in the days and nights following Christmas Day in 1980. The authors hope that this report will help to settle old disagreements, stimulate new debate, and perhaps even lead to the development of entirely new evidence-based theories about what happened on those nights and where. Accurate and sensitive radiation measurements could also have implications beyond the UFO incident. For instance, data collected during this study could reveal any potential environmental contamination originating from nuclear warheads that were stockpiled at the site in the Weapons Storage Area. This is obviously a topic of broader public interest unrelated to the UFO incident. This study also found elevated radiation levels confined to a small area near the landing site identified by Warren in 1988 and 1990 with readings significantly above the average for the whole field, providing robust physical evidence in support of this witness’s testimony. Furthermore, if the radiation present on this patch is an artefact of the UFO landing, then we have precisely located the landing site. Moreover, in that case we have demonstrated that Warren failed to accurately locate his landing site, and our version of the landing site should be considered the definitive location. When trying to locate the landing site reported by Warren, we encountered a discrepancy in his information. There are two photographs of Warren’s landing site endorsed by the witness, one taken in 1998 and the other in 1990. Warren was present when both photos were taken, personally choosing the site to be photographed. We used these photos to locate the landing site. By reconstructing the two photos, we successfully located the patch of ground identified in each one, and demonstrated that the two pictures show slightly different landing spots. The older picture features a dark patch of earth which Warren identified as the landing site, which we located about 30 m northwest of the eastern end of a prominent treeline. The newer picture features a green patch of vegetation which Warren described as the landing site, which we located about 40 m west of the eastern end of the same landmark. Warren’s two photos definitely show two different spots, albeit within tens of meters of each other and both close to the same landmark. The authors conclude that the most likely explanation for this small but important discrepancy would be human error, which can be explained as understandable. Accurately locating a point in a field using memory and sight is difficult. The authors of this report have considerable experience of this type of reconstruction, and when reconstructing the photos we had difficulty ourselves. Visual recollection provides much less detail than a photo, and a historical image can be misleading. It took us some time to orientate ourselves satisfactorily using the old photos. When using the treeline as a landmark, one has to ensure that the angle of the treeline matches that in the photo, which is difficult to do accurately, not least because several key landscape features have changed, such as the width and angle of the grass margin on the southern edge of the treeline. The angle of lines on the field created by agricultural activity also changes from one year to the next, and this is very disorientating. It takes some skill to find a location in a field under these circumstances, even from a photo and especially from memory. In essence, the principle difference between Warren’s two photos is the angle of the treeline in relation to the observer. We emphasise that the two versions of Warren’s landing site were in fairly close proximity. We suspect that Warren’s attempt to locate his landing site was unduly swayed by visible patches in the vicinity. He was looking for a landmark upon a homogeneous field where there was none. His first photo showed a patch, and for his second photo he was probably looking for a similar patch, but unfortunately there wasn’t one in the same spot. Warren has been vigorously scrutinised as a witness. This report will try to avoid the politics. It is convenient to refer to the site first identified by Warren as “Larry Warren’s landing site” and doing so need not imply any opinion about whether Warren’s account is first-hand or second-hand. In 2010 Penniston and Burroughs confirmed the location of the landing site they witnessed, and it was within 50 m of the locations identified by Warren, therefore we conclude that the landing sites reported by these three witnesses are in fact the same location. We checked a wide area around the three landing sites identified in this part of the field and found only one hotspot there. The protruding treeline hides an agricultural drainage ditch. If there was a cleanup operation, alluded to by one source, any effective cleanup would have been by topsoil removal by excavation or water jets or deep ploughing. (There are several high-pressure irrigation hydrants inexplicably located in this corner of the field). A water-based cleanup of radioactive contamination might be evident in the ditch, as might natural runoff from rainwater. We carefully scanned the ditch and found background levels. The ditch system flows into Butley River about a mile to the east, and from there via the River Alde into the North Sea. This study found elevated radiation levels confined to a small area near the landing site identified by Halt, with readings significantly higher than the average for the whole field, providing robust physical evidence in support of his testimony. Furthermore, our geolocated measurements identify a precise pinpoint location where the radiation measurements were highest at this landing site. If the radiation present at the site is indeed an artefact of the UAP landing, our findings provide the most accurate evidence-based location to date for the Halt landing site, with Ground Zero pinpointed by a GPS coordinate. The background radiation at the Weapons Storage Area of RAF Bentwaters was 0.13 μSv h-1 (40 CPM), raised by high readings in certain measurement locations around the area, ranging from a minimum of 7 CPM to a maximum of 115 CPM. For comparison, the background radiation at the comparable Weapons Storage Area of nearby RAF Woodbridge, where no hotspots were found (even in and around a bunker equipped with a dual key safe suitable for storing nuclear weapons) was μSv h-1 (17 CPM), with a minimum of 5 CPM and a maximum of 52 CPM recorded. The bomb store at Woodbridge is larger than the one at Bentwaters, and the prefabricated storage bunkers are directly analogous. Both WSAs are at the southwest corner of their respective base. However, the security arrangements at Bentwaters in 1980 were much more extreme, including two control towers and a dog unit, providing strong evidence that, within this twin base complex, storage of the most important weapons was restricted to the smaller of the WSAs sited at Bentwaters. Moreover, the prefabricated security infrastructure at Bentwaters is analogous to structures present at other Cold War era USAF bases in the UK where atomic weapons are known to have been stored, e.g. RAF Upper Heyford in Oxfordshire. RAF Bentwaters can therefore be characterised as a typical example of the cookie-cutter template implemented for the construction of nuclear armed USAF bases at the height of the Cold War. In this precursor incident, which preceded the famous December incident by ten months, USAF Security Police working at the “back gate” (East Gate) of RAF Woodbridge witnessed UFO activity over the runway bearing a striking resemblance to the UFO activity that would occur in December later that year. A craft with bright lights stopped directly over the east end of the runway, then moved “up down, left right” before breaking into three separate lights and streaking away. Security control was alerted by radio. This sighting is almost universally overlooked by books, articles, documentaries about the events of the 1980 case. We took photos and measured readings here, including the centre of the runway’s eastern terminus, near to East Gate’s guard hut (GPS Lat, Lon range from 52.09166666666667, 1.4252777777777779 to 52.091997, 1.428540) where we recorded an average of 44 CPM (twice the average background level of 19 CPM as measured consistently within and around the east end of the airfield) with some interesting strong spikes of up to 14 counts per second. This is not considered a landing site because the object reportedly maintained low altitude above the tarmac. The landmarks associated with this sighting, in combination with the close proximity of the witnesses, makes this probably the most accurately geolocated site in history for a subdividing UFO. Geological sources of radioactivity, e.g. granite, cannot be ruled out altogether. However, it would be an unlikely coincidence if geological radioactivity exists at locations where UAP activity occurred but not at other locations in the area. In the available historical information there are only two known potential sources of radioactive contamination at this location, roughly in the middle of an ordinary agricultural field in Suffolk. The first potential route of contamination is the UAP. The second possibility is contamination transferred from equipment or personnel deployed in Halt’s investigation. The contaminated equipment hypothesis is considered extremely unlikely. This study found elevated radiation at sites of UFO activity which were not investigated by Halt or any other investigators at the time. In fact, it is clear from some of the TV documentaries cited in the references below that Halt was entirely unaware of some of these sites until recent years. For example there is no record of the Rehfelt site ever being measured for radiation; it did not feature in the December incident, and unsurprisingly accounts of the December investigation make no mention of the February incident. If the Rehfelt site was measured, the likelihood of the same contaminated equipment being used is low, yet we found elevated radiation there. Accounts of the December investigation did not mention the Penniston site or the site where UAP activity was first observed near East Gate, yet we found elevated radiation there. Moreover, the contaminated equipment hypothesis fails to explain the observations at the time. Elevated readings reported were relative to the background level, but the background level would have been affected by contaminated equipment. Thus, even if equipment was contaminated, the level of radiation measured at the time was still reportedly higher in this spot. Contaminated personnel also seems an unlikely explanation. Control measurements were taken at ten locations encircling each hotspot, all of which gave readings at background level. A careful surface scan of the surrounding land found no elevated readings beyond 30 m from the target measurement location. Any discussion about radiation levels at Rendlesham Forest would be incomplete without considering the nuclear weapons that were stockpiled in concrete silos at the Weapons Storage Area situated in the southwest corner of the USAF base RAF Bentwaters less than a mile northeast of the forest, where there were apparently “more nuclear missiles in the Weapons Storage Area [at Bentwaters] than anywhere else in Europe”. This twin base complex was evidently a highly strategic NATO facility. Weapons grade fissile material such as uranium-235 or plutonium-239 are an obvious potential source of radioactive contamination in the area that cannot be ignored by this study. The half-life of uranium-235 is 700 million years, and that of uranium-238 which would also be present in the enriched fissile material is 4.5 billion years. Obviously, if a sufficient quantity of these materials escaped, without an immaculate cleanup operation it would be detectable today. These isotopes are so highly radioactive that it would be possible to find microscopic traces of contamination using modern instrumentation. Nuclear warheads do not ordinarily leak radioactive material, and reports of radioactive contamination from atomic weapons are rare even in accidents when the weapon was damaged or lost. The physics package within a warhead is hermetically sealed, and the warhead and weapon housing are designed to withstand severe damage. However, during the Rendlesham Forest Incident witnesses observed a craft directing a bright beam that looked like a white laser down into atomic weapon storage silos. Whether this caused physical damage to the warheads is a legitimate question. Radioactive contamination originating from nuclear weapons would be highly-detectable for thousands or millions of years, without drastic decontamination procedures such as deep ploughing. But it’s impossible to predict how the detectability of radioactive contamination originating from an unknown source such as a UFO will diminish over time, not least because radioisotopes vary widely in half-life and emission energies. There is a well-established connection between UFO activity and nuclear weapons. At least one of the eye-witnesses in the Rendlesham Forest incident has successfully sued the US Department of Defence for damages relating to the medical effects of the UFO encounter citing this document and other facts as evidence. If the UFO activity at Rendlesham Forest is connected with nuclear weapons, why was the activity so concerned with the nearby forest and farmland around one military base, then focus on the atomic weapons at another? Was the UFO taking a break from the official business it may have traversed galaxies to undertake? There may be a reason why the UFO activity seems so interested in the area east of RAF Woodbridge, but this discussion is beyond the scope of the current report and will be raised in a separate article. An unidentified craft firing mystery beams at nuclear warheads is an extremely serious matter raising serious questions. One such question is: did the beam damage or tamper with the warhead. Were the weapons disabled? Assuming there was some purpose for the beam, hypothetical purposes range from harmless analysis to intentional interference. If the beams damaged the casing of the warheads, we might be able to detect radiation in the area that escaped from the bomb. In a recent article we highlighted scientific research demonstrating the use of electromagnetic beams to either detect or disarm atomic warheads. Current human technology possesses these capabilities, hence we can expect advanced alien or future human technology to be capable of using energy beams to detect or disarm weapons. It is technically possible to disable an atomic weapon by converting the uranium material into a less radioactive material (or theoretically even into a non-radioactive material) through a process known as artificial transmutation. In this process, radioactive material is bombarded by a beam of particles that trigger nuclear fission, e.g neutrons, or similarly high-intensity protons as generated by a linear accelerator. Artificial transmutation is under investigation as a potential technology for making nuclear waste safer. It is a well-established principle that has been extensively researched for decades and was reported in the New York Times in 1991. The European Spallation Source is currently under construction and will be the world’s most powerful neutron beam when complete in 2019. It will be used to test methods for making highly radioactive material much less radioactive by neutron bombardment. A sufficiently intense or prolonged irradiation by neutrons (or protons) will trigger fission in radionuclides, especially actinides, splitting the radioactive atoms to make them stable or less radioactive. Is that what happened at RAF Bentwaters? Would we ever find out if so? Note that there is substantial anecdotal evidence of UFOs using beams that allow a solid object (e.g. a human) to pass through other solid matter (e.g. the wall of a house). It seems a reasonable assumption that weapons would have been inspected or at least visually checked after the incident when an unidentified aircraft shone bright green laser beams down into the storage silos. They should have been checked. (The present authors would not have volunteered for the job of checking nuclear weapons that could have been tampered with.) It would have been grossly negligent not to check the weapons in these circumstances. Disabling weapons might have been a precursor to Soviet manoeuvres or a preemptive nuclear strike. Similarly, the Soviets might have been detecting weapon storage facilities as potential strategic military targets. Any power planning to start a war with NATO in 1980 would have been well advised to perform recon around Rendlesham Forest, and upon discovering what was hidden there promptly obliterate the entire area. It is therefore more likely than not that on or soon after the night of 28 December, somebody would have checked on the weapons stored at RAF Bentwaters, and perhaps also at RAF Woodbridge. The huge metal doors of at least some concrete storage bunkers would have been opened, and somebody would have looked inside. Presumably a Geiger counter would have been employed during the checking procedure. There are reports in circulation that “in the immediate aftermath” of the beams incident a large transport aircraft arrived from the USAF’s European HQ in Germany, carrying a team of specialists who checked the warheads and wore “moon suit” protective equipment. If nuclear warheads had been damaged, it is conceivable that radioactive contamination would have escaped from the WSA into the environment during or after the Incident. The data collected by this study might detect this effect. 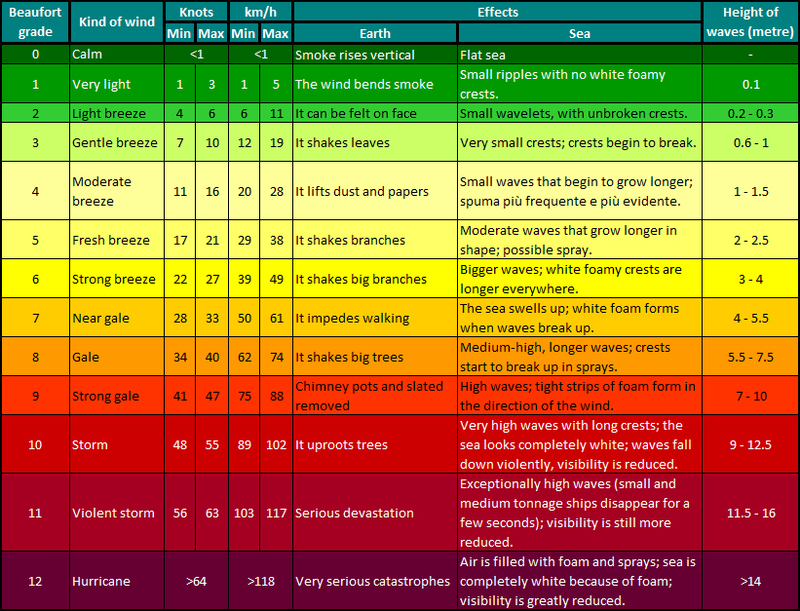 The prevailing wind direction during and after the beams incident (Table 3) were as follows: south-west (28 Dec), west-south-west (29-31 Dec), and west (1 Jan), with an overall prevailing wind direction of west-south-west. The average wind speed during the same period was as follows: 11-15 kn with max. gusts of 21-30 kn (18-30 Dec) classified as a “moderate breeze” on the Beaufort scale, and 20-21 kn with max. gusts of 38-43 kn (31 Dec to 1 Jan) classified as a “fresh breeze” but the strongest gusts went up to gale-force. Table 3. Hourly wind speed and directions, and temperature, from the Met Office’s Wattisham station (their nearest weather station to Rendlesham Forest) for the period of 26 Dec 1980 to 1 Jan 1981. The daily prevailing wind direction is indicated by bold text. Wattisham station (NGR 6025E 2514N) is situated a few miles to the west of the forest at an altitude of 89 m. [The weather station is at Wattisham Airfield where Anglia Radar was based, serving as ATC radar for regional USAF bases and one of the radar systems that tracked UAP during the Incident.] Wind directions were verified by cross-referencing with the corresponding dataset from Gorleston station (NGR 6534E 3037N) situated a few miles to the east of the forest at an altitude of 4 m. The altitude at Rendlesham Forest is around 80 m. The formula used to compute wind compass bearing was: =CHOOSE(1+ABS(ROUND(C6/22.5,0)), “N”, “NNE”, “NE”, “ENE”, “E”, “ESE”, “SE”, “SSE”, “S”, “SSW”, “SW”, “WSW”, “W”, “WNW”, “NW”, “NNW”, “N”). Thus, any airborne radioactive contamination from the WSA on the night of 28 Dec we might expect to have been distributed towards the west of the weapon storage silos, fanning out along the range of directions indicated by the red lines in Fig. 1 below. Figure 1. Visualisation of wind directions at Rendlesham Forest during the period of 26 Dec 1980 to 1 Jan 1981. All hourly wind directions during this period are indicated by a red line. All daily prevailing wind directions are marked with a thicker red line. Note the westerly pattern of wind directions during the period. Hourly wind speed fans out through all westerly directions from NNW to SSW, with W and WSW the dominant prevailing wind directions throughout the period. Visualisation of wind directions during and after the Rendlesham Forest Incident. The same predicted distribution pattern might also apply to any airborne radioactive contamination released by UFOs during the Incident. No such pattern was found, suggesting that either the data are insufficient to be conclusive or any radioactive contamination from the UAPs was in a form not readily distributed by wind, e.g. an imprint resulting from direct contact between the object and the soil. However, the source of contamination from the UAP phenomenon is entirely unknown. It is not known whether any radiation was released into the air by the objects, or whether the objects simply left a footprint of residue where they landed or touched. Eye-witness reports on one night describe an object “dripping” material “like molten metal” onto the forest floor. Further research is recommended to attempt to find and isolate that material. Measurements recorded during the course of this study found that radiation levels were higher on the east side of the RAF Bentwaters Weapons Storage Area and these elevated levels extended to locations several hundred of meters east of the silos. This observation suggests a pattern of contamination more complex than simply airborn radioactive material escaping during or shortly after the UFO incident. Further research is justified to determine the full extent and nature of the unexplained contamination at RAF Bentwaters. Historical meteorological data is also useful to eliminate wind as a potential propulsion mechanism. The wind consistently blew from easterly directions throughout the week of the Incident, yet the UAP objects were witnessed moving westward for long periods. This rules out the possibility that the objects were any form of balloon. The movement of the objects retrograde in relation to the wind strongly supports the contention that they possessed their own propulsion capability. Similarly, the zig-zag motion of one object through a horizontal plane, reportedly avoiding collision with trees strongly supports intelligent an intelligent control hypothesis. In case pertinent, there was no substantial precipitation during the Rendlesham Forest incident, and the temperature from 26 Dec to 1 Jan (Table 4) ranged from -2 °C (the lowest nighttime temperature on 28 Dec) to 10 °C (the highest daytime temperature on 31 Dec. The temperature barely dipped below freezing throughout the December incident, except for 28 December which was the coldest night, cold enough for a mild ground frost until after sunrise. Some of the nights before the incident had been colder. Table 4. Daily temperatures at Rendlesham Forest during and after the Rendlesham Forest incident (according to the Met Office weather station at nearby Wattisham). 28 Dec was by far the coldest night in this period. Though not shown here, the reader may wish to note that the temperature was lower (<4 °C) on some of the preceding nights. (0900-0900) (°C) Daily Min. Temp. (0900-0900) (°C) Daily Mean Temp. Understanding the way radiation levels change over time is, of course, essential to interpreting the results of a radiation survey 37 years after the fact. Radiation readings on contaminated land decrease over time. The most predictable reduction in radiation levels is caused by the natural process of radioactive decay. The half-life of a radioisotope quantifies the period of time in which half of its atoms disintegrate. The time it takes for half of the material to decay varies between isotopes, ranging from seconds to millions of years. Indeed, by measuring the rate at which radiation levels decline in controlled samples of soil from a contaminated site such as Rendlesham Forest, and cross-referencing this rate with a database of known isotopes and their half-lives, it would be possible to deduce a list of know isotopes that might be present. By the same token, it would be possible to rule out certain isotopes from the list of candidates based on their half-lives. It is theoretically possible that radioactive contamination at the forest involves unknown isotopes, in which case rates of radioactive decay would be less useful in trying to identify possible contaminants. Further research is recommended, together with other analytical techniques, in an effort to identify and isolate the radioisotopes accounting for the elevated radiation levels reported in this paper. Radiation levels also decrease over time through other processes which are more difficult to predict. Understanding of changes in radiation levels at Rendlesham Forest can also be aided by research into the effects of environmental factors on radioactive contamination on agricultural land. On an arable field, such as Capel Green, arable cycles would be expected to have a dramatic effect on radiation levels measured in the years following contamination. Normal ploughing of land contaminated by radiation greatly suppresses external irradiation. Ploughing reduces radiation levels detected in the air above ground, and also reduces radiation levels of direct measurements from soil samples. This dilution effect varies with factors such as soil type and composition and the type of radionuclide (e.g. organic atoms like radioactive carbon are more readily incorporated into plants than inorganic atoms like uranium). Specialised ploughing apparatus has been successfully employed at sites of major radiation incidents to greatly reduce topsoil contamination. The soil type at Capel Green is classified as Soilscape 10: “Freely draining slightly acid sandy soils” with low carbon and low agricultural fertility. Our observations of the geology of this field describe a topsoil pale-brown-red in colour, with a very fine, powdery sandy, silty texture, lacking substantial organic matter, clay, stones or gravel. Beneath the topsoil, at a depth of about 50 cm, is a deep layer of fine yellow sand. (This geology is typical of the area, according the British Geological Survey, and is a product of the Quaternary Glaciations culminating in the Anglian glaciation about 450,000 years ago.) The bioavailability of radionuclides is high in sandy soils, with higher uptake of radioactive material by crops compared with other soil types. Sandy soils are also more permeable to water than other types, allowing rainfall to drain down from the surface into deeper layers. Sand is an effective water filtration medium, capturing larger particles and purifying the water as it passes through. Further studies are recommended to improve understanding of the very long-term effects of arable rotations on radioactive contamination, ideally under similar conditions to those present at Capel Green, through a five-year or ten-year study that could then be extrapolated to the 37+ year scenario at Rendlesham Forest. In summary, we have shown that, even 37 years after a UFO incident, it is possible to detect new evidence and uncover new information with the potential to answer unresolved questions and lead to novel theories. This study supports historical claims of elevated radiation levels associated with UFO activity during the Incident, constituting physical evidence of the UFO activity, together with radar observations during the incident, plaster casts of landing marks and damage to trees. In addition to physical evidence the UFO hypothesis is supported by numerous expert military eye-witnesses and also several civilian witnesses who live locally. A future study is highly recommended to produce a high-resolution gradiented heatmap to reveal the shape and extent of the hotspots identified in this work, e.g. by taking a large number of measurements at numerous locations in a tight grid covering each hotspot, sampling outwards until air dose rate falls to background levels. This would allow the hotspots to be visualised and could prove meaningful (e.g. if a heatmap revealed a triangular hotspot geometry with the highest levels near the corners, this would obviously align with eye-witness descriptions of a UFO landing footprint, adding support to a hypothetical causal relationship). It would also be useful to collect data at additional measurement locations, seeking features on the radiation heatmap of the area that might have been missed by this study. As time passes after a case goes cold, scientific instruments and techniques become more sensitive and accurate. This underscores the value of taking samples as soon as possible after the fact for future analysis. Advances in technology also offer hope that mysteries seeming inexplicable today may yet be elucidated, and intractable problems solved. The study and its implications will be discussed in much greater detail in an accompanying article which will be published soon after this report. Ministry of Defence. The authors are indebted to Stirling Askew (Station Staff Officer at HQ Woodbridge Stn., Rock Barracks, Suffolk, UK) for authorising our access to Woodbridge Airfield, to Damien Payton for his local knowledge invaluable personal assistance with our research activities there, and to Tony Burlton for navigating the MoD chain of command on our behalf. We thank the MoD for allowing us to enter an active military base and giving us the freedom to take photos wherever we needed. We probably could not have done this work in any other country. The MoD could easily have declined our humble request. The personnel who helped us had no reason to do so other than a spirit of openness, helpfulness and courtesy which British armed forces deserve to be very proud of. Forestry Commission England. Sincere thanks to Richard Barker (Head of Parliamentary Business and Information Rights and Director of England’s Office, Forestry Commission England in Bristol, UK) and to Roger Woods MCIPR (Manager at the Forestry Commission’s East of England Office in Suffolk, UK) for authorising our use of scientific instrumentation on the FCE land at Rendlesham Forest, and for granting us permission to reproduce their map of the area. We commend FCE for recognising the importance of the Rendlesham Forest incident by creating their excellent UFO trail complete with objectively-written signs and leaflets and a replica craft. This has become a unique pilgrimage for UFO enthusiasts as well as a treasured outdoor resource for the general public. Met Office. Special thanks to Duncan Ball (Information Specialist at the Met Office in Devon, UK) who sourced the raw historical meteorological data logs from weather stations near Rendlesham Forest. Also, Fleur, Weather Desk Advisor at the Met Office in Devon, UK, who helped us to navigate the information sources and departments of the Met Office. Pope N, Penniston J, Burroughs J (2014) Encounter in Rendlesham Forest: The Inside Story of the World’s Best-Documented UFO Incident. Thomas Dunne Books. Halt C (2016) The Halt Perspective. Haunted Skies Publishing. Ridpath I (2014) Were the radiation readings significant? The Rendlesham Forest UFO Case. Ridpath I (2014) The Rendlesham UFO witness statements. The Rendlesham Forest UFO Case. Ridpath I (2014) Rendlesham Forest UFO chase – the route into the forest. The Rendlesham Forest UFO Case. Warren L (2005) Left at East Gate: a First-Hand Account of the Rendlesham Forest UFO Incident, Its Cover-Up, and Investigation. Cosimo Books. UFO Hunters: Military vs. UFOs (2008). History Channel. Sn. 1, Ep. 5. Ridpath I (2014) Where was the “landing site” that Halt investigated? The Rendlesham Forest UFO Case. Chernobyl: Assessment of Radiological and Health Impact. (2002) Nuclear Energy Agency. Ch 6. Luykx F, Frissel M (1998) Radioecology and the Restoration of Radioactive-Contaminated Sites. Kluwer Academic Publishers. pp 102-146. Komissarov, Mikhail & Ogura et al. (2017) Effects of plowing on vertical distribution of radioactive Cs and soil physicochemical properties in temperate pastures. Grassland Science. 63: 265–272. Bruni G (2000) You Can’t Tell the People: The Definitive Account of the Rendlesham Forest UFO Mystery: The Cover-up of Britain’s Roswell. Sidgwick & Jackson. Parry E (2018) Airmen involved in ‘British Roswell’ may have been abducted by aliens, retired US colonel claims in secret footage. The Sun. The Bentwaters Incident: Captain Lori Rehfeldt (2013) Sirius Disclosure. Lt Col Charles Halt confirms that objects were tracked on radar (2015) Merlin Media. Butler B, Randles J, Street D (1986) Sky Crash. Harper Collins.